A homeless man who confronted a woman and her young son at a public park by shoving his hand inside his unzipped pants and arching his pelvis toward her while shouting didn’t commit a crime. Oregon Court of Appeals recently ruled that 44-year-old Thomas Bryan Wade’s behaviour was constitutionally protected free speech. Back in May 2013, Wade stood in a Gresham park, unzipped his pants, shoved his hand inside and arched his pelvis in the direction of the woman who was with her 7-year-old son. The woman later told police that she turned her head away because she didn't want to see what she thought was about to happen: Wade exposing himself. A public indecency charge against him was dismissed at trial because the woman hadn't seen Wade expose himself and the state has no crime of "disturbing the peace." 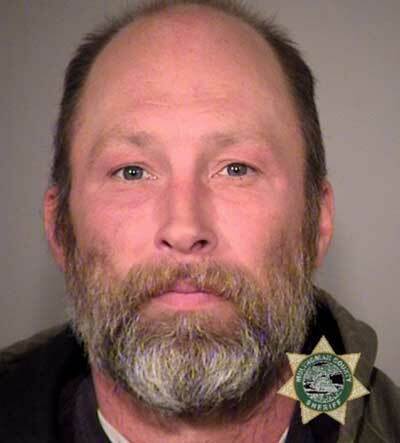 Second-degree disorderly conduct is the closest thing in Oregon to "disturbing the peace." State law defines second-degree disorderly conduct, in part, as engaging in "fighting or violent, tumultuous or threatening behaviour" with the intention of causing "public inconvenience, annoyance or alarm." Although state lawmakers haven't spelled out exactly what "tumultuous or threatening behaviour" is, the Appeals Court said it must be behaviour that creates a threat of using "physical force." Given the details of Wade's encounter with the woman, that he hadn't taken any steps toward her or her son, the court found that he hadn't done enough to demonstrate he was on the verge of a physical attack. During Wade's trial in November 2013, Multnomah County Circuit Judge Gregory Silver found the opposite: that Wade had committed disorderly conduct because a "a reasonable person" would think a "violent sexual attack is likely to occur" and Wade's behavior was "threatening" and "recklessly created a risk that (the woman) would be alarmed by his behaviour." Wade's defence attorney, Shannon Mortimer, applauded the reversal. He said his client needed help stabilising his life, not a criminal conviction. "There are a lot of Thomas Bryan Wades out there," Mortimer said. "There's not a lot of resources available to handle them somewhere else than the criminal justice system. The courts are where these people get dropped off and judges and lawyers have to figure out what to do with them." Even with the ruling, prosecutors recommend calling police if someone feels threatened by another person's yelling or gestures, like in the Wade case.